In our newly built mill, we can individually process your fiber into high quality rovings,batts and yarn. Our mill comes from our own need and desire to have yarn that comes from only our animals - yarn from our farm. It is so exciting to raise these beautiful animals with their wonderful fiber. How frustrating it has been to get that special fiber, which you worked so hard to breed for and to raise, turned into yarn. 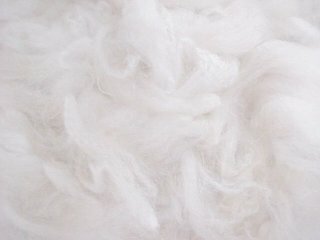 A+ Alpaca Fiber Mill will create yarn from your farm so you can show off that special fiber! Every farm can have their own yarn to market or turn into garments. We have included the full washing instructions for those breeders who want to wash their own fiber. For those who would prefer that we wash your fiber, simply put "no" on the customer order form where asks about washing the fiber and we would be happy to do it for you. Turn your fiber stash into working cash!